This CAG report, a hurriedly prepared and badly redacted defence of the Rafale Deal, is not going to help Modi much in the coming days. The long-awaited CAG report on the Rafale and 10 other defence acquisitions begins with two wrong notes. 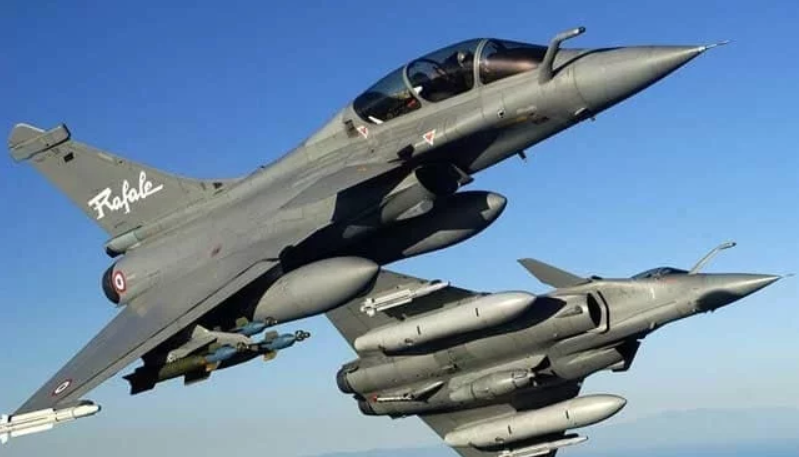 One is the acceptance of the government’s demand to redact the price details of the Medium Multi-Role Combat Aircraft (MMRCA) or the Rafale deal; then its disclosure in the preface that the total cost of the 11 defence acquisitions is Rs. 95,000 crore, effectively giving away the Rafale deal price. A simple two-minute calculation (see Table below) reveals that the price of the Rafale deal or the BXX in the CAG’s table of prices (Table 1 CAG Report) was Rs. 60,576.54 crore. A case of carelessness in redaction? Or those who carried out the redactions did not read the preface? Of course, this does not mean that the redactions had no impact. All the break-ups and other calculations substitute numbers with letters of the alphabet, and increasingly with two or three-letter combinations, mercifully not four-letter ones. It makes it difficult to even understand what exactly CAG is comparing, and to what. Possibly this was the intention? The CAG did object to these redactions in its letter to the Ministry of Defence on February 5, 2019, saying this would make the report incomprehensible. To quote the report: “This Office had taken up the issue with MoD vide letter dated 05 February 2019, wherein Ministry was intimated about CAG’s reluctance/refusal to carry out the redaction of price information, on account of difficulties in comprehension and lack of precedence of redaction of commercial details in the Audit Reports.” Finally, the CAG gave in, and agreed to redact the report on the prices of the Rafale deal, but none of the others. Why India’s security is compromised only with the price and its break-ups in the Rafale deal, but not others, is left to the judgement of the people. Perhaps, we should ask whether it is it India’s security we are discussing, or the Modi government’s electoral security. Also watch: CAG on Rafale: Audit or Cover-up? Even more intriguing, the Supreme Court, in its judgement on the Rafale deal, had stated that the price details on Rafale have been submitted to the CAG, and its report with the prices redacted have been submitted to the Parliament. This was stated on December 14, almost two months before the actual submission of the CAG report to the Parliament. And as the Supreme Court stated, so it has come to pass: the price details in the CAG report on the Rafale deal have been redacted. That too after the CAG’s initial reluctance to do so in its letter to the Ministry of Defence nearly two months after the Supreme Court judgement. How did the Supreme Court know that the CAG would redact the price details? Did they have a crystal ball? Or did the note in the sealed cover submitted to the Court by the government make such a claim? And was it simply a misunderstanding of grammar that turned the government’s future tense into the Supreme Court’s past tense, or did the government wilfully mislead the Court? Let us take the major issues in the CAG report. 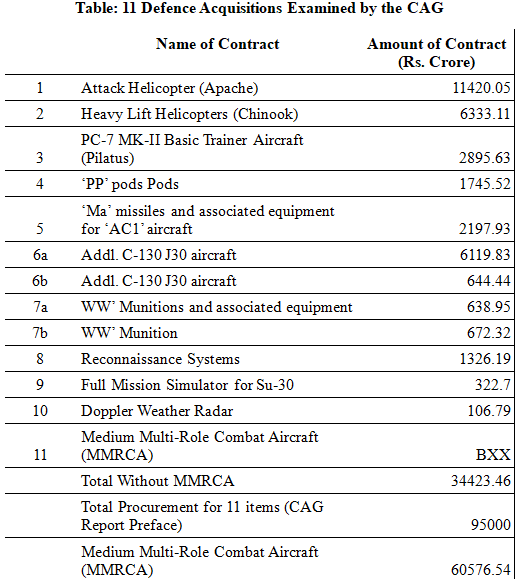 The CAG has given details – rendered incomprehensible by its redactions – of the original deal of 126 aircraft in which 18 were to be delivered in a flyaway condition, and the current deal of 36 aircrafts in the flyaway condition. With the redactions, we do not know how the CAG has compared the two contracts, as the base prices and the combinations, including technology transfer price of the two deals, are quite different. Let us accept that the CAG has done its job properly, and see what it says. It says that while there is 2.86 per cent price advantage in the Modi government’s negotiated price, it is offset by cost advantage to Dassault of not having to give bank guarantees. In other words, Dassault could give a lower price as it did not have to give bank guarantees. What was the cost of these bank guarantees? According to N. Ram’s report on the dissent note by three domain experts in the India Negotiating Team in The Hindu dated February 13, the price advantage to Dassault in not giving bank guarantees was in the region of 7.8 per cent. In other words, if we factor this price advantage, which CAG agrees accrued to Dassault, but did not quantify in its price comparison, the Modi government’s price would have been 5 per cent higher! The Modi government’s ministers have claimed that the opposition has been lying about the Rafale figures. What about the Modi government's ministers and their price claims? Finance Minister Arun Jaitley said in an interview to ANI in August 2018, that the NDA had negotiated a price 20 per cent lower than UPA’s negotiated price. VK Singh, minister of state, and former defence chief, claimed on September 30, 2018 that the price in the Modi deal was a whopping 40 per cent cheaper than UPA’s. A whopping lie? The Law Minister Ravi Shankar Prasad and the Defence Minister Nirmala Sitharaman had claimed a 9 per cent price advantage for NDA over UPA’s price. So, will the ministers now admit they were also lying when quoting these figures? The problem with all these price figures is that they make even an educated guess at what the CAG is really saying impossible. How did it load the India Specific Enhancements, which even the CAG admits are not new requirements, but in the original Request for Proposal (RFP), and enhancements only for Dassault? How did it load the Euro 1.3 billion India Specific Exceptions for the 126 aircraft and compare it to the 36 aircraft? Without knowing these details, all we can do is to accept the CAG report in good faith. Considering that Shri Rajiv Mehrishi, who is the current CAG, was the finance secretary when the current Rafale deal was being negotiated, should he not have recused himself from its audit and asked another colleague in the CAG to deal with this issue? The finance minister’s statement that he had nothing to do with the deal does not speak well of Mehrishi, as the Finance Ministry has a vital role in financial matters on such deals. If Jaitley is right, then Mehrishi did not perform his task as the finance secretary! Or is there a conflict of interest in his being on both sides of the audit? The other point that the Modi government is making is that the Modi deal made the deliveries of Rafale faster. It transpires that if we take the India Specific Enhancements, and recall that these were base features in the original specifications and not enhancements, then the time difference is only a month. According to the CAG, in the original UPA deal, it would have taken 72 months for delivery; and in the NDA deal, it would take 71 months. In this calculation of delivery times, we should also factor in the dissent note by the three experts in the Negotiating Team, that Dassault’s capacity will not allow it to supply 36 aircraft in the stipulated time. What are the questions omitted by the CAG Report? While the CAG criticises the MMRCA specifications, procedures, and delays, it is completely silent on how, within 15 days of the cancellation of the MMRCA tender on March 27, 2015, a new deal was struck on April 10 in Paris for 36 aircraft in flyaway conditions. Even if it was an inter-governmental agreement, what were the procedures followed? And how is it that all the procedures laid out in DPP 13 were followed in scant 14 days? How is it that if the decision to scrap the MMRCA tender was taken on March 27, 2015 as CAG says, Mohan Parrikar, the defence minister and the Foreign Secretary Jai Shankar were completely unaware of it? Why were technology transfer requirements suddenly dropped? How was the Indian Air Force going to make do with 36 aircraft if it required 126? And is it a mere coincidence that Anil Ambani’s company, which finally enters the Rafale deal, was incorporated the very next day of the cancellation of the original deal? The CAG is there not only to work the numbers but also audit the rules and procedures as laid down in the government and ensure that they are followed. Even for intergovernmental procurement, there are procedures laid down. The CAG report does not discuss how the Defence Procurement Policy 2013 procedures were implemented for the procurement of the 36 Rafales: this is a glaring hole in the report. If the Dassault bid was the only one considered for the Modi deal, as it was L1 from the earlier tender, that tender – according to the CAG report – was cancelled on March 27, 2015. So how was this L1 bid even valid for consideration in an inter government procurement? And if it was a new procedure, why were other parties not considered? The other major weakness in the CAG Report is that there is no review of the offset contract and the choice of the bankrupt Anil Ambani group (Anil Ambani’s RCom has recently filed for bankruptcy) as the offset partner for Dassault. The government claims that this was purely a Dassault choice, even though this would make it a violation of DPP 13, the operative defence procurement policy in 2015. All these have been conveniently left out of the CAG review. It seems to have only one objective, to show that Modi government reached a lower price and a better deal than the UPA, a feat it achieves by various difficult contortions. These contortions leave out bank guarantee figures, that no technology transfer is taking place in the new deal, no details of how the Euro 1.3 billion India Specific Enhancements have been considered in evaluating the two prices – UPA’s and NDA’s, and no mention of the of the DPP 13 procedures followed or not followed in this new Modi deal. With this report, the CAG has blotted its copybook badly. It marks the fall of another institution under Modi – RBI, CBI, Statistical Commission, and now the CAG. This CAG report, a hurriedly prepared and badly redacted defence of the Rafale Deal, is not going to help Modi much in the coming days. Rafale is going to remain a major issue, notwithstanding this shoddy CAG report.